MUMBAI: Comic legend Stan Lee revealed a new Amazing Spider-Man 2 trailer via Sony Pictures to begin 2014. The first trailer of the movie was released at the beginning of December and Lee presents the new one where with a one-minute promo for the superhero movie sequel, he tells fans how excited he is to see Spidey back on the big screen again. In December, it was revealed that the fourth film in the Spider-Man franchise will include Venom and the Sinister Six. There’s signs of the Sinister Six in the trailer as the six doors open up at what we assume is OsCorp. Andrew Garfield revealed recently that the fourth film wouldn’t exactly be about him, since he’s only currently contracted for three films. However, the Amazing Spider-Man 2 release date is 2 May, 2014. Stars Andrew Garfield and Emma Stone will be returning as Peter Parker and Gwen Stacy, Jamie Foxx (Electro) will also be in the film, along with Sally Fields, Dane DeHaan, Paul Giamatti, and Colm Feore. 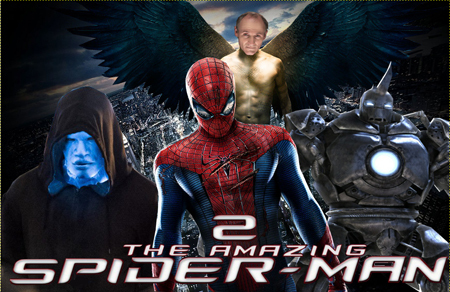 The Amazing Spider-Man 3 will hit theaters on 10 June, 2016. And, The Amazing Spider-Man 4 will release on 4 May, 2018.